What were your reasons for wanting to exhibit Hannah Höch’s work? Hannah Höch is one of the most interesting artists of the 20th century. Her collages epitomise how the choice and use of medium can become political. The 1930s series ‘From an Ethnographic Museum’ constructs lots of figures, full of fragmented characters, variation, and deviation from standardised norms and shapes. It’s a very liberating view of alternative body images in a time when totalitarian aesthetics were taking hold in Europe. I had been interested in Höch’s work for a long time, but was surprised when I found out she had not been shown in the UK before. Curating an exhibition like this at the Whitechapel and with great Colleagues, such as Dawn Ades is a real treat. What do you think about the fact that Höch isn’t as well known as her contemporaries, such as Kurt Schwitters for example, or had a show in London before? There was not much interest in the UK after the Second World War to exhibit German artists. The wounds of the war were too fresh; the tight acquisition budgets of the public galleries were spent on different things. Schwitters was a special case – he immigrated to the UK. In contrast, the US had a larger German émigré population – there was a strong interest in continuing cultural bonds from the pre-Nazi era. How was it curating and organising the Hannah Höch exhibition in contrast to other shows you have curated? Curating a major historical show with lots of loans from renowned international collections is a real pleasure and privilege. We were delighted to receive such enthusiastic support from colleagues and institutions from all over the world. One of the most rewarding things was getting to know the family of the artist, who have been very supportive of the exhibition project and the catalogue from the start. 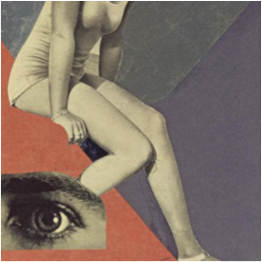 Hannah Höch is on show now, until 23rd March 2014. It is the First major exhibition of her work in Britain, bringing together over 100 works from major international collections.